Home » Living Large After Weight Loss Surgery! Karen Gillman is a leading voice in attesting to the potential benefits of gastric band surgery. After reaching 300 lbs, Karen turned to weight loss surgery to help her drop the weight and lead a more active, healthy lifestyle, choosing the Lap-Band gastric band. 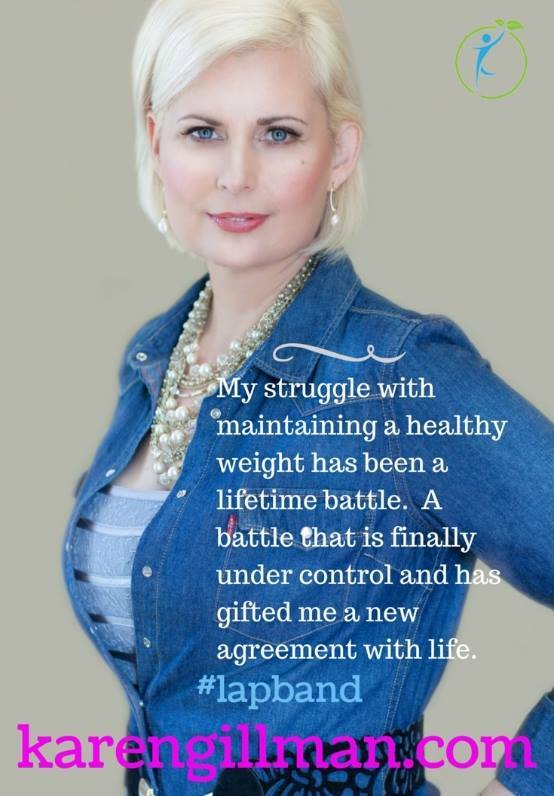 She utilized the gastric band for ten years, losing 145 lbs in total, which led her to write a book detailing the “before-during-and after” of the experience, entitled, “It’s Never Too Late’ A Ten-Year Journey with Weight Loss Surgery.” She is now on a mission to help others combat their battle with obesity by providing proven, practical life-skills. In the world of advocating for weight loss surgery, Karen serves on the Patient Advisory Board for Apollo Endosurgery, who are the owners of the Lap-Band System; is a member of the Obesity Action Coalition; and has been featured on Daytime TV, Primetime TV, CTN, Channel 10, and a variety of radio shows. Her message to overweight or obese people is one of encouragement and hope in the never-ending battle of healthy living.